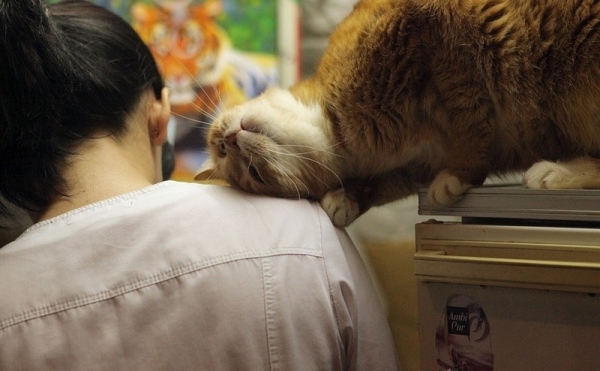 Can you imagine the museum where dozens of cats walk around, sleep and eat? 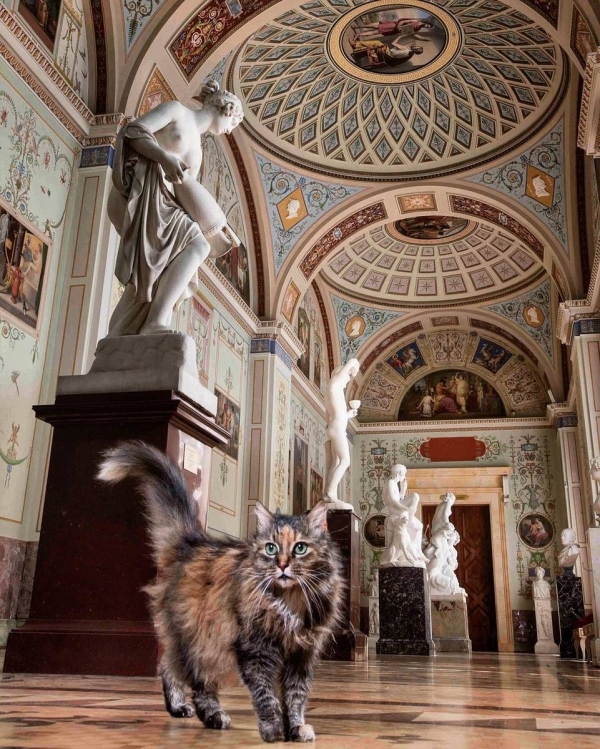 Well, that kind of a place really exists and it’s The Hermitage Museum in St. Petersburg, Russia. People from all parts of the world come to visit this place not only because of famous and historical artworks, but to see these sweet and furry little friends, too. There are about 70 cats in this museum, and all of them are well cared for and loved by the workers and visitors. The reason why this place allows every resident cat to enter here is brilliant. All these cats are in fact museum’s secret helpers. Their presence makes mice and rats not want to come at all, and that’s the way they actually protect all those artworks. Kids especially like to visit this museum because that’s their living fairy tale. The number of 70 cats is museum’s final capacity. If there are more cats, there could be troubles because every cat has its own territory. The workers feed them once a day, but there are many spots where the cats are along the perimeter of the Hermitage. Museum’s staff has to get them clean, to give them fresh water and all of that takes a lot of time. The workers of this museum have also said that some cats are sweet and like being cuddled, while others do not like being held, such as those of the Siberian type. Most cats from this museum find a home. Visitors come to see all those marvelous historic arts and in the end, they decide to take a cat home. That’s another great way for removing them from streets and giving them a warm home. 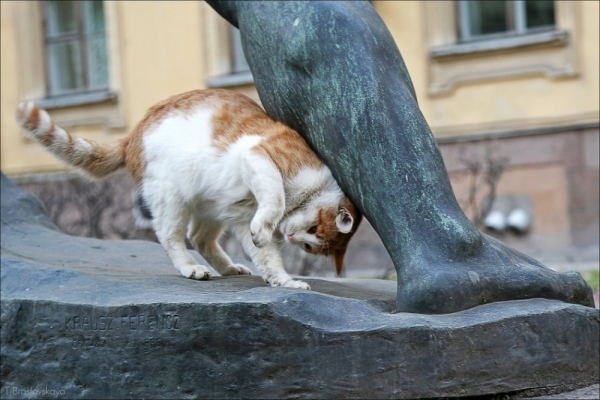 It is considered prestigious when someone gets the cat from the Hermitage, so people rush there for this reason, too. 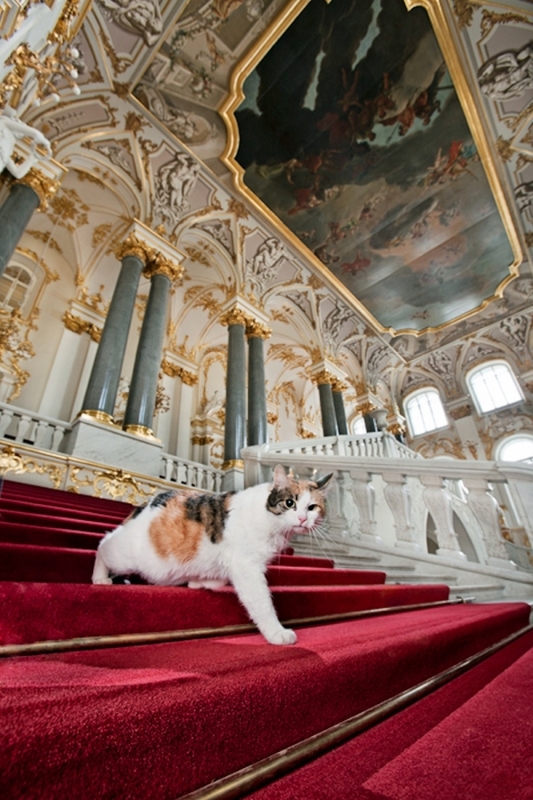 Cats are very important inhabitants at the Winter Palace and the State Hermitage. 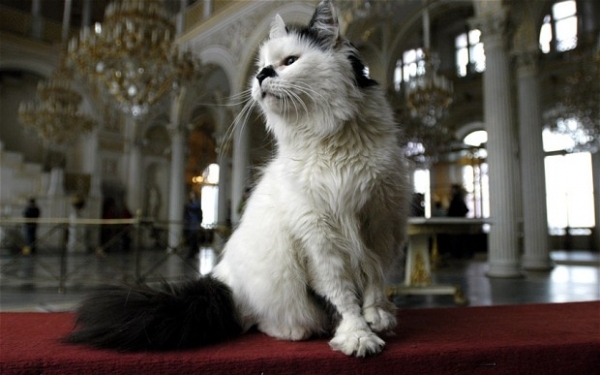 They’ve lived in the old Winter Palace since the times of Peter the Great when he brought the first cats from Holland. Later his daughter Elisabeth made a special rule for cats to be bred.